Stop wasting time scouring court websites or reaching out to authorities for the most up-to-date Pre-Trial Memorandum. See how LEAP helps attorneys save time and make more money. 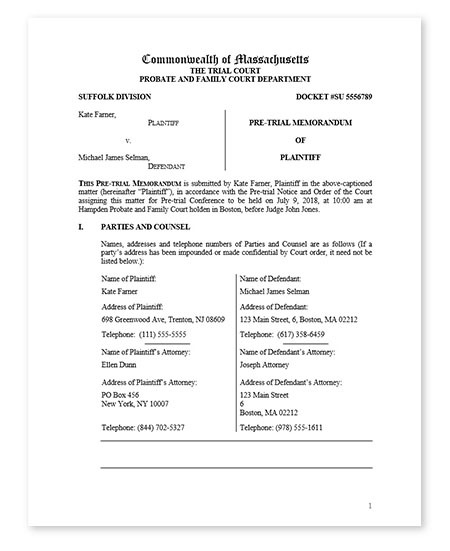 The Pre-Trial Memorandum is a written report prepared for the pre-trial conference which provides the judge with an overview of the case.